Save up to 70% on exclusive Market Samples! Top Furniture Brands at Outlet Prices! 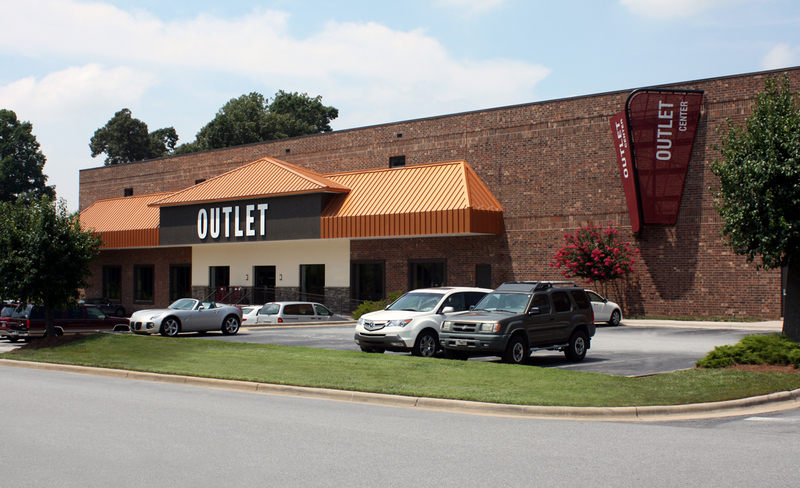 The Outlet at Furnitureland South is the best-kept secret in the furniture industry. Here, you can find the latest home fashions, unbeatable pricing and immediate delivery. For decades, customers have flocked to our North Carolina furniture outlet to find clearance and outlet pricing on the top name brands offering the latest styles. In the Outlet, you’ll find the best selection of High Point Furniture Market samples at the absolute best prices. Whether you’re looking for casual, relaxed furniture designed for everyday use or unique furniture that makes a statement, you can find it all. Find the best-known furniture brands at remarkably discounted prices. The enormous selection and vast showroom ensure that you will find exactly what you are looking for to express your personal style. Our 300,000 square-foot showroom features more than 150 individually designed rooms filled with quality furnishings. Thousands of customers each month browse this enormous selection in Jamestown, North Carolina, to find the latest in designer styles and fine furniture trends. Need it fast? When your project requires a quick turnaround, the Outlet is the place to start. Each product for sale off the floor and is available for same-day pickup or delivery.